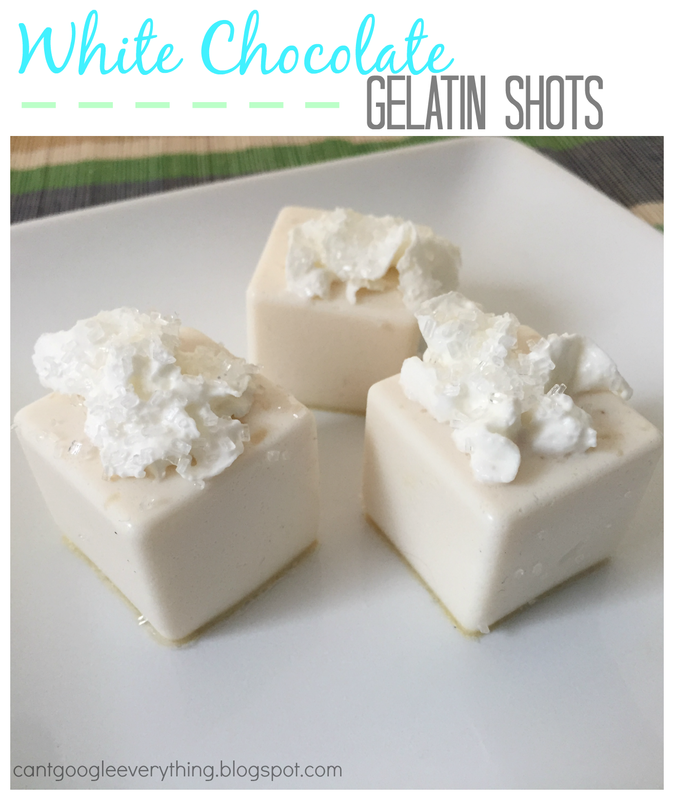 These two bite gelatin shots are perfect for Valentine’s Day or another special celebration! 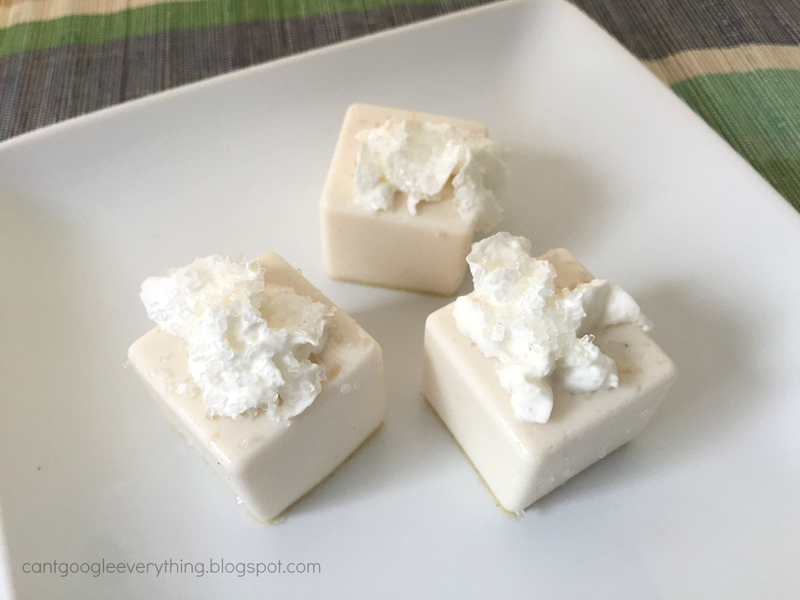 Made with decadent Godiva white chocolate liquor and topped with yummy whipped cream! 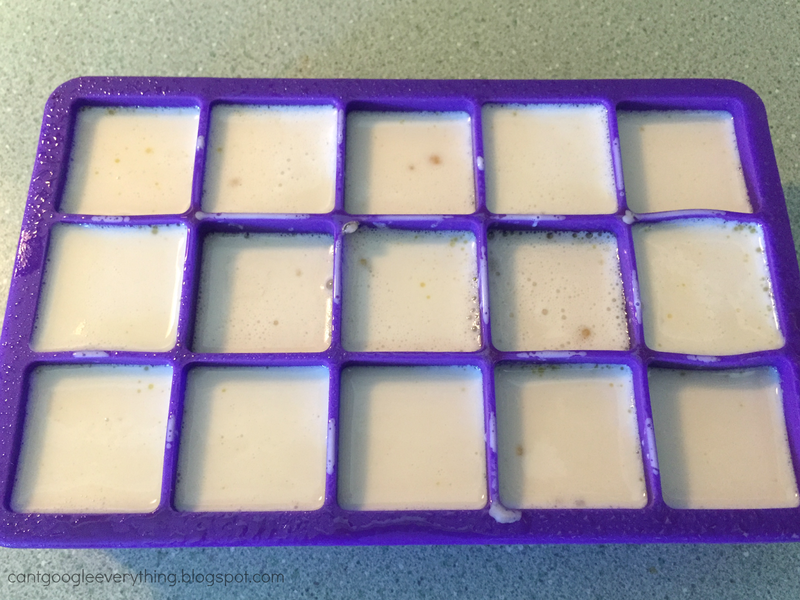 Square ice cube tray mold or other mold of choice! 1. Measure 1 cup of cream into a small saucepan. Sprinkle the gelatin over the cream and let it sit for a minute. Stir well and turn on medium-low heat. 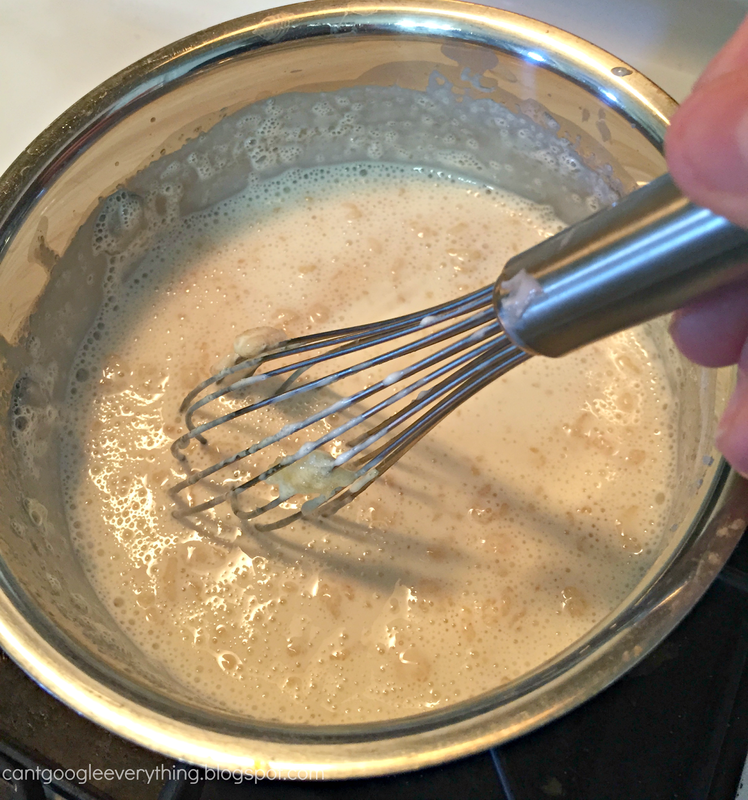 Allow the mixture to cook for several minutes until the gelatin is fully dissolved, stirring most of the time so the cream doesn’t burn. You may have to stir with a whisk to make sure all the gelatin dissolves. 2. 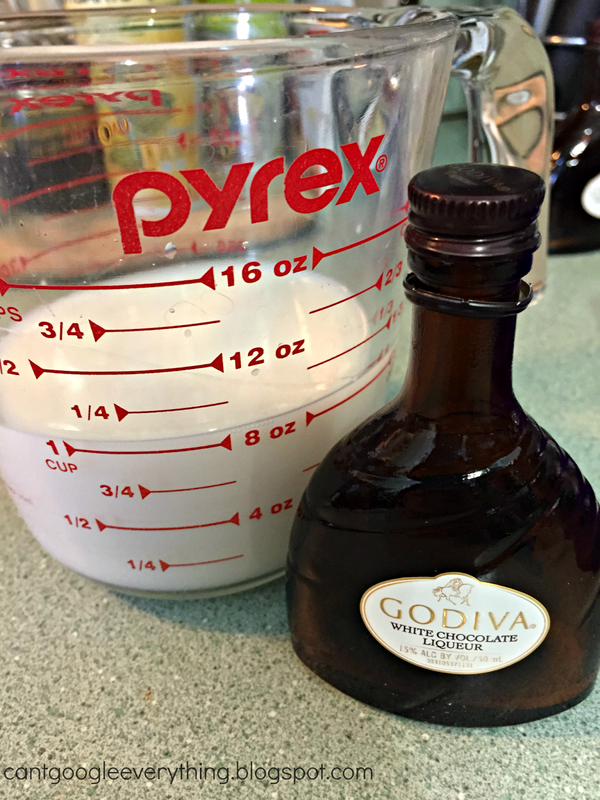 Pour the white chocolate liquor and the whipped cream vodka into a measuring cup. Lightly spray your molds so the shots don’t stick. Note: These shots are rather thick compared to other shots I’ve made. They are more like a chewy texture rather than a jelly texture. If you want a thinner shot- at this point you can also add the extra half cup of cream to your cold mixture. The extra liquid will max the shots thinner. I don’t recommend adding more alcohol because they are pretty strong already! 3. Mix the cream-gelatine mixture with the alcohol mixture. Carefully pour into the prepared mold. 4. Place in fridge to set for about 4 hours. When you’re ready to serve just turn it upside down over a plate and gently push and prey the shots out. Top with whipped cream and sprinkles, or just eat as is! I’d love to know- what are you favorite kinds of shots or drinks? I’m gathering a ton of ideas for gelatin shots and I’d love to make some that are based on my readers favorite drinks! These look SO good! I'm a fan of the old fashioned cherry shots.